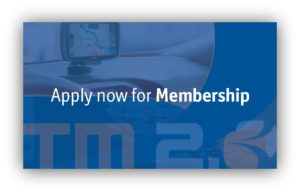 The TM2.0 Innovation platform was launched in 2014 under the ERTICO umbrella of activities, bringing together 40 members from all ITS sectors to focus on new solutions for advanced interactive traffic management. Now in Phase 3, TM2.0’s focus has shifted from innovation to deployment and its work is closely linked to a number of ERTICO Programmes. It cooperates with TISA and feeds into the work and discussions of the C-ITS Platform. TM2.0’s dynamic participation in ITS Congresses by way of presentations and Special Interest Sessions on Interactive Traffic Management has created momentum in the ITS community. The Platform’s efforts to build a consensus between public authorities and service providers also influence EU policy initiatives. Not a member yet? So what are you waiting for? ERTICO – ITS Europe is a multi-sector, public/private partnership pursuing the development and deployment of ITS. It connects public authorities, industry players, infrastructure operators, users, national ITS associations and other organisations together and work to bring “Intelligence into Mobility”.